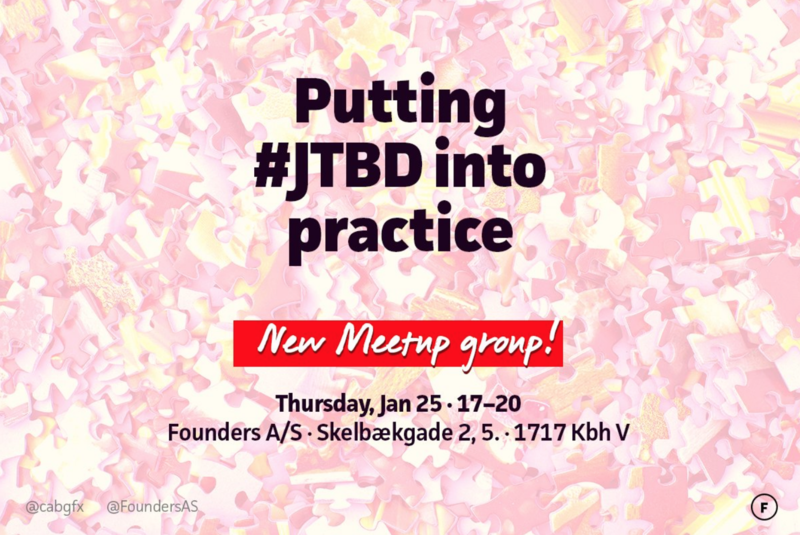 We're looking forward to welcoming the JTBD CPH gang to host a meetup at Founders Thursday 25th January! - Overview of approaches/frameworks: Switch, ODI and others. ### 19:40 Wrap-up: Next meetup — format, ideas, topics?